The cultivation of Austrian music is distinctly tied to its respective origins. Be it from here or from elsewhere. Some call it folk music, others world music. The music country Austria has a vast amount of old traditions. From Carinthian choirs to Schrammelmusik of the 19th century, from regional forms such as the Wienerlied to the Gstanzel traditions of the Austro-Bavarian region. Just as the country itself is very much defined by the Alps and the Danube, the Imperial and Royal past, as well as its more recent history as a transit and immigration country, the music naturally reflects these circumstances. With Vienna as a cultural center where urbanity and (rural) traditions are in a constant dynamic dialogue, the country is additionally marked by influences from the South-East which are manifested in the so-called Balkan music boom of the 2000s. Simultaneously to the so-called “green wave” – a term used for mainly Anglo-American folk singer/songwriters with a socially critical stance – folk music in the 60s and 70s went through a rennaissance period (after it had been misappropriated by the Nazis). 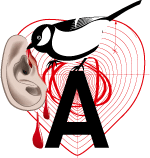 Austropop of the 70s/early 80s became commercially successful by combining Anglo-American rock/pop with stylized (linguistic) regionalisms, with a first dialect wave and the renewal of the Wienerlied/Viennese Song (Karl Hodina, Robert Neuwirth). 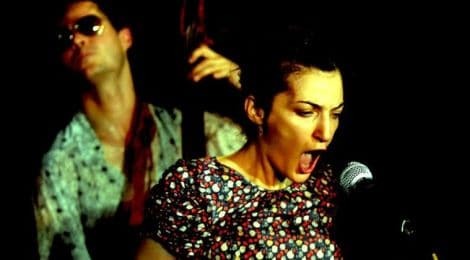 Geduldig & Thimann devoted themselves to Yiddish music, Bruji from Burgenland created rock music influenced by their Croatian roots. Guitar virtuosos like Charly Ratzer or Harri Stojka took inspiration from their roots in the Roma and Sinti culture. 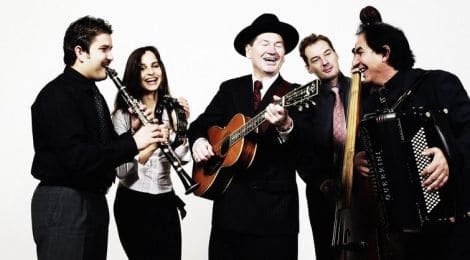 In the 90s there were bands like the Tyrolean Die Knödel with their neo-folk-jazz, the East-Tyrolean ensemble Franui, the Upper Austrian duo Attwenger or Hubert von Goisern, who presented basic folk music elements in new contexts. Unlike Die Knödel or Franui, who used classical music elements, Attwenger used elements from techno or hip hop, and Hubert von Goisern was the first to successfully establish himself in the mainstream. In the late 90s and early 2000s there was an increased preference for Latin/Brazilian sounds. One of the most memorable protagonists of this scene was Alegre Correa, who still makes substantial music to this day. The Wiener Tschuschenkapelle, which was founded in 1989 and is celebrating its 25th anniversary in 2014, stands for the invigorated self-image of Austrians from many different backgrounds and cultures, which years later became manifest in the so-called Balkan music boom, featuring artists such as Martin Lubenov or Fatima Spar & the Freedom Fries. This is also reflected in the history of the band !Deladap that started a new genre with ethno pop. 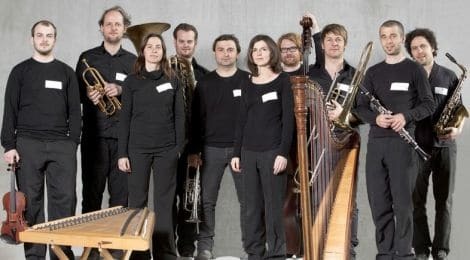 Vienna is currently experiencing a heyday of bands and artists that are reinventing the Viennese sound with global influences: 5/8erl in Ehr’n, Die Strottern, Ernst Molden, Stefan Sterzinger or Grossmütterchen Hatz Salon Orkestar, with the latter being prone to including jazz and klezmer music. Donauwellenreiter are defined by an even greater artistic openness, making them one of the more exciting Austrian formations at the moment. 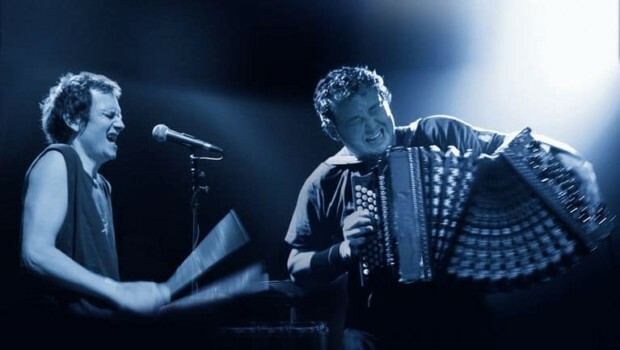 Protagonists of the Balkan scene like Nenad Vasilic are increasingly fusing with jazz, while the Alpine influence is strong in formations such as ALMA, the wind ensemble Federspiel, and the string trio Netnakisum. 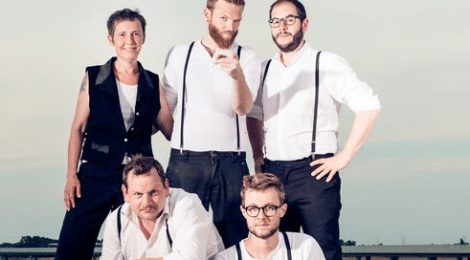 The South-Tyrolean Herbert Pixner and Vorarlberg-based holstuoanermusicbigbandclub are hugely successful with their innovative folk music at the highest level. Formations such as the Iranian-Austrian Choub, Sehrang, Sormeh create true musical magic influenced by different sound- and cultural socializations of their musicians. With Madame Baheux, Jelena Poprzan (also a member of Sormeh) and her four colleagues underline the importance of musicians in this evolving scene. 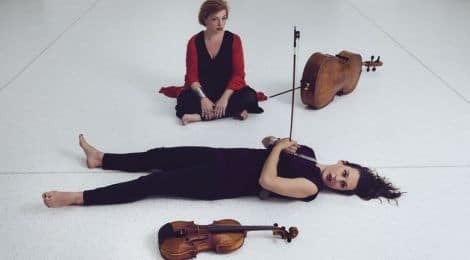 Together with cellist Rina Kacinari, Jelena Poprzan is also part of the extraordinary duo Catch-Pop String-Strong, which is a prime example of the new artistic lust for adventure in Austrian music. This creative diversity is allowed to thrive in an environment that features a variety of festivals and concert series devoted to world music in all of its forms, allthewhile maintaining a healthy balance between the local and the global – all of which is hugely benefecial to a rich music culture.